Are you interested in becoming Catholic? or A Catholic who wishes to receive first Eucharist and/or Confirmation? Then RCIA is for you! The Rite of Christian Initiation of Adults is a program for adults who desire to become fully initiated members of the Catholic Church. The goal of the RCIA process is full, conscious, and active participation in an exciting life with Jesus Christ within His Catholic Church. RCIA helps Adults grow in their relationship with God, become familiar with Catholic teachings and practices, get acquainted with the faith community, and get involved in service within the community as a whole. Fullness of Faith: Many people who want to join the Catholic Church have already been baptized in another Christian Church. They do not need to be rebaptized. They will follow form of these four steps adapted to their particular needs and concerns. 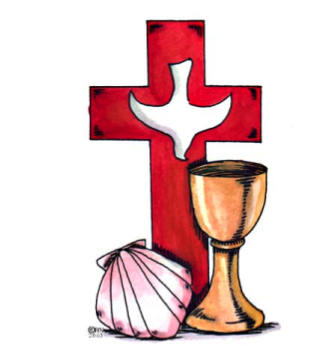 Others may have been baptized in the Catholic Church and need to complete the sacraments of initiation by receiving first Eucharist and/or Confirmation. All will have an opportunity to grow in their relationship with God and learn more about the faith before receiving the Sacraments.